FeeBelly, your “Fine Print Detective,” detects keywords in the fine print of documents on both a desktop and mobile platforms. First launched by FineprintF Technologies as an iPhone app in 2017, FeeBelly was created by founder Michael Asare, who has nearly twenty years of experience delivering successful SaaS solutions. In 2019, a desktop version was added so individuals and companies can seamlessly upload documents and find hidden fees buried in the fine print, saving both time and money. Our monthly, annual, and one-time user options give users the flexibility to stay ahead of document-deciphering challenges. We are always working on innovative and constructive ways to save our FeeBelly App and SaaS users time and money. 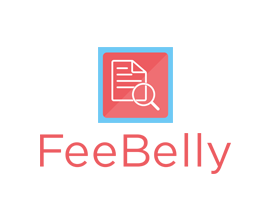 When you use FeeBelly, you gain a ally in the fight against hidden fees.